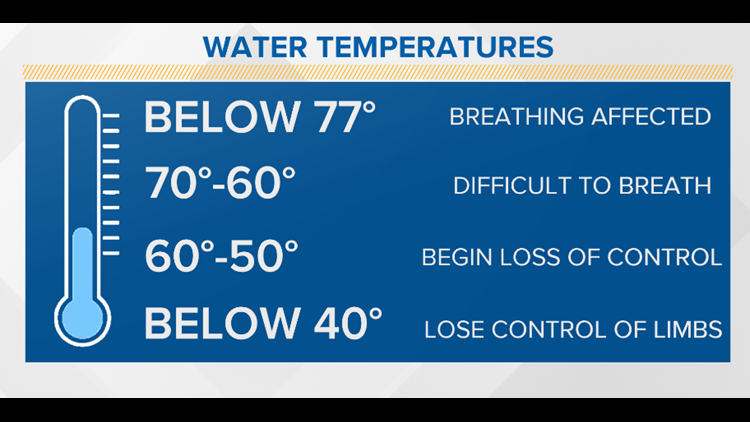 As temperatures soar into the 80s, remember — water temperatures are still dangerously cold. SACRAMENTO, Calif. — There's a gradual warming trend on the way! This weekend's afternoon high temperatures in Sacramento are expected to warm into the mid to upper 70s. Temperatures will top off in the mid-80s next week, bringing us the warmest temps of the year. It's also spring break for a number of students. So, heading down to Folsom Lake or the American River is a great way to get the kids out of the house and have some family fun. 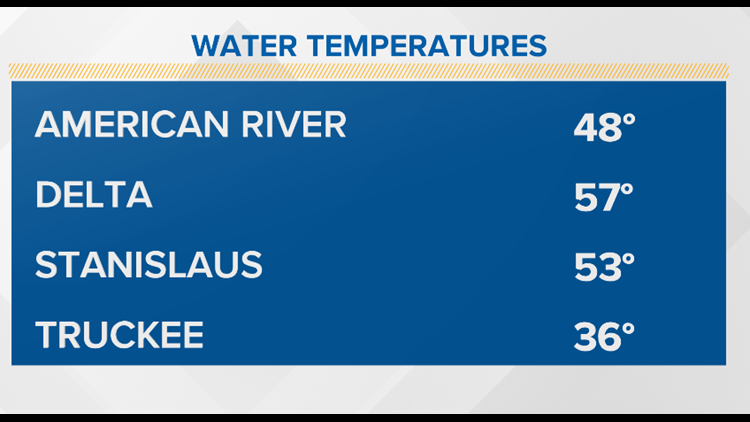 Now, if you're thinking of heading down to some of the area waterways, remember they're still dangerously cold. Being in water this cold can lead to a life-threatening condition called hypothermia. This is when the body's temperature can quickly drop so low that you lose control of your arms and legs. Here's how quickly that can happen. How long can you be in cold water before you lose dexterity? Enjoy the warmer temperatures and be safe! The Drowning Accident Rescue Team (DART) says the number of drownings has gone down significantly through educating people on how to be safe when their on the water.